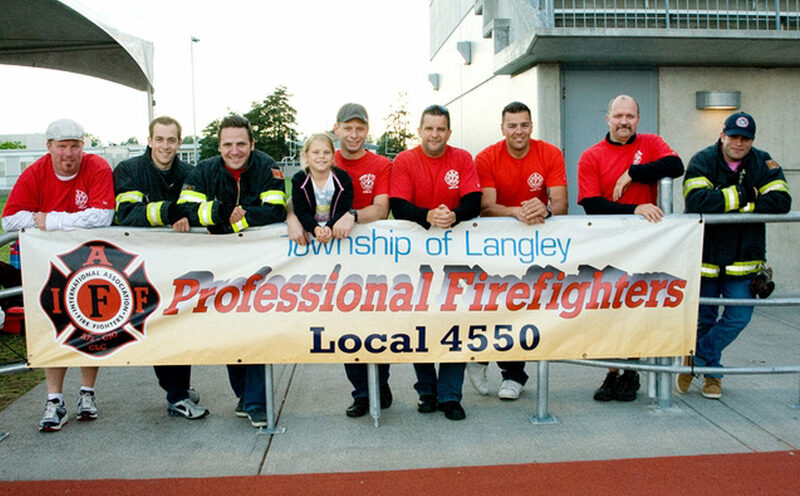 The Township of Langley Firefighters’ Charitable Society is a not-for-profit society registered in the Province of British Columbia, in the interest of focusing the fundraising and benevolent activities of the Township of Langley’s Firefighters. Currently the Township of Langley Firefighters’ Charitable Society has several projects being developed to the benefit of local, provincial and national charities and partners; including a Snack Program for local students with the School District #35 Foundation and Overwaitea Food Group, and fundraising for our local Hospital Foundation, the B.C. Professional Firefighters Association Burn Fund and Muscular Dystrophy Canada. The Township of Langley Firefighters’ Charitable Society has an aim to benefit the citizens we protect as firefighters, through local charitable programs and to assist other charities with similar objectives that operate in the best interest of our community. We are also working to develop partnerships that will broaden our reach and strengthen our efforts.